So, this is my take on Jupiter’s transit in Leo from 14th July 2015 to 11th August 2016. This article won’t only tell how Jupiter will impact for all Ascendant and Moon Sign people, but it will also show how Jupiter’s role is switching for each ascendant sign and therefore why making a generalise opinion on a planet or sign may not be a prudent thing to do? Also, this transit of Jupiter will have an additional impact of Saturn through Saturn’s 10th aspect from Scorpio (as Saturn is transiting through Scorpio) and of Rahu, as Rahu will join Jupiter in Leo in the Month of January, 2016. What will these two impact do on Jupiter? Well, Saturn’s 10th aspect is about responsibilities and duties, so in 1st six months of Jupiter’s transit into Leo, Saturn will put Jupiter in place of responsibilities and duties. Then if person responds to these duties with hardwork, then Rahu will join Jupiter in January and will explode the good results in last six months of transit. So, we will reap as we sow. This transit is going to be more fruitful for those people going through Jupiter Mahadasha but it doesn’t mean that it will have no impact on others. We all go through Antardashas and Pratyantardashas of all the planets throughout year, so this transit will show its impact in those time periods. Also, for slow moving planets like Jupiter, Rahu, Ketu and Saturn, we don’t have to depend on Dashas. Because of their slow movement, they always impact our life in given time. Last but not the least, please see results of this transit from Ascendant and Moon Sign both. Predictions from Ascendant Sign will show what will actually happen and predictions from Moon Sign will show what our mind desires, but triggering of this event depends on condition of other planets in birth chart and transits. Another thing is that when Ascendant and Moon sign both point towards one event that event is bound to happen. 1. Aries Ascendant or Aries Moon Sign – For Aries people, Jupiter rules over 9th house (Sagittarius) of religion, higher learnings and 12th house (Pisces) of Spirituality, Charity and Hidden Secrets. So, for Aries people, Jupiter is more a knowledge based planet. Now, Jupiter will transit through 5th house (Leo) of Education and Children, another knowledge based house. So, Aries people who are already married and longing for children can have a child birth, as double transit of Jupiter and Saturn is indicating towards 5th house of children. These people themselves or their children will be highly interested in higher education and will also take long distance/foreign travels for the purpose of accomplishing higher education. Apart from normal academic education, these people can be inclined towards higher religious and spiritual knowledge. They may even like to read about religious views of different religions. 2. Taurus Ascendant or Taurus Moon Sign – For Taurus people, Jupiter rules over 8th house (Sagittarius) of Occult, Mysticism and 11th house (Pisces) of Gains and Income. So, for Taurus people, Jupiter takes shape of a research and money related planet. Now, Jupiter will transit through 4th house (Leo) of Home, Mother, and Peace of Mind. So, Taurus people can expect to gain of a land/house property from a sudden event. Gain of house property will be the result of the person’s career. There will be financial gains to Mother. There will be celebrations and functions inside home. 3. Gemini Ascendant or Gemini Moon Sign – For Gemini people, Jupiter rules over 7th house (Sagittarius) of Business, Other People and Marriage and 10th house (Pisces) of Career, Work Environment. So, for Gemini people, Jupiter takes shape of a Career Oriented planet. Now, Jupiter will transit through 3rd house (Leo) of Efforts, Courage and Communications. So, for Gemini people, this Jupiter transit will make them work hard on their career, on their communications. The results of their career will depend on how much effort they are ready to put on things related to 3rd house. Collecting information related with their career should be their focus. Not only in business, but this transit can also give jobs to job oriented people, as Saturn’s aspect from 6th house of services and daily routine life is coming to 3rd house of efforts and actions. 4. Cancer Ascendant or Cancer Moon Sign – For Cancer people, Jupiter rules over 6th house (Sagittarius) of Daily Routine Life, Jobs etc. and 9th house (Pisces) of Religion and Long Distance Travels. So, for Cancer people, Jupiter takes shape of a job and religion related planet. Now, Jupiter will transit through 2nd house (Leo) of Family, Wealth and Speech. So Cancer people are going to have lots of wealth coming their way out of their jobs and long distance travels related with their jobs. As 2nd house is one of the house to be seen for marriages and Jupiter expands wherever it goes, so expansion in family is on the cards, i.e. either marriage or child birth. There will be new responsibilities in family to look after. For the purpose of Marriage, Mahadasha/Antardasha must also support marriage. 5. Leo Ascendant or Leo Moon Sign – For Leo people, Jupiter rules over 5th house (Sagittarius) of Educaton & Ancient Texts and 8th house (Pisces) of Occult and Mysticism. So, for Leo people, Jupiter takes shape of planet which can give great knowledge of Mystic Subjects. Now, Jupiter will transit through Ascendant (Leo) itself of Life Path, Life Purpose and Self. Saturn will put responsibility on Jupiter to work hard on life path. These people, if they are working in some creative field like Cinema, Arts etc, will suddenly find extreme popularity among masses. Jupiter-Saturn joint impact on Ascendant will lead many of them to find their real life path. Education related with mysticism is going to be part of their life path. 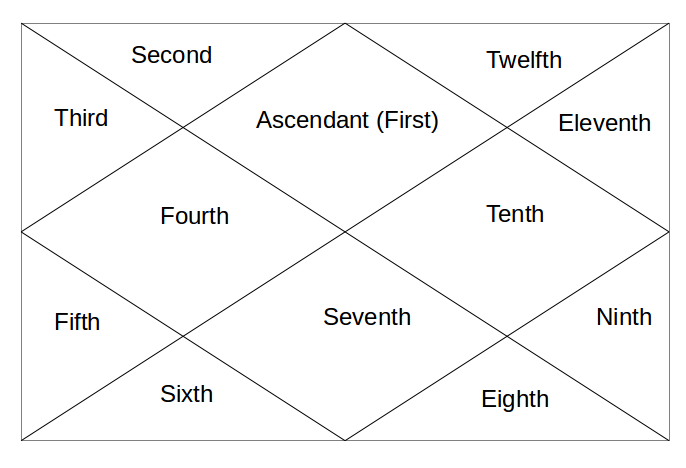 If Mahadasha/Antardasha permits, these people can get married as 1st house is Bhavat-Bhavam for 7th house of Marriage and from 1st house Jupiter aspects the 7th house. Overall, a life changing time in next 1 year. 6. Virgo Ascendant or Virgo Moon Sign – For Virgo people, Jupiter rules over 4th house (Sagittarius) of Home, Mother and 7th house (Pisces) of Marriage. So, for Virgo people, Jupiter takes shape of a Family Oriented planet. Now, Jupiter will transit through 12th house (Leo) of Spirituality and Foreign Travels. For Virgo people, there will be sudden interest in Spirituality and they will find themselves at peace while visiting religious places. Foreign Travels are on certainly after January as Rahu joins Jupiter. Jupiter here will make them more charitable. They will make sincere effort to understand the hidden secrets of the world and gain the knowledge. 7. Libra Ascendant or Libra Moon Sign – For Libra people, Jupiter rules over 3rd house (Sagittarius) of efforts and actions and 6th house (Pisces) of daily routine jobs and obstacles. So, for Libra people, Jupiter takes shape of an action oriented planet. Now, Jupiter will transit through 11th house (Leo) of Income, Gains, Network Circles and Desires etc. For Libra people, the focus will be on to enlarge their network circles. They will be invited in lots of social gatherings which will improve their contacts and eventually provides gain to them. Higher gains of their Career is on the cards like promotion or good hike. If Mahadasha/Antardasha permits, Marriage is on Cards too as 11th house is one of the houses for marriage along with 2nd and 7th. 11th house is actually the house of manifestation of desires, so it indicates the timing of actual performance of marriage. 8. Scorpio Ascendant or Scorpio Moon Sign – For Scorpio people, Jupiter rules over 2nd house (Sagittarius) of Family, Values and Speech and 5th house (Pisces) of Education, Children and Ancient Texts. So, for Scorpio people, Jupiter takes shape of knowledge and beliefs related planet. Now, Jupiter will transit through 10th house (Leo) of Career and Work Environment. Great time for Career and Fame in the outside world is on the cards. As Jupiter and Saturn both are indicating at house of Career, there will be sudden rise to the status of person in Career and Society. It is like someone from nowhere becoming VP of a company. This will be a great time for starting own business too. But in any case, effort has to be there. Saturn blesses only after making the hardest of efforts. 9. Sagittarius Ascendant or Sagittarius Moon Sign – For Sagittarius people, Jupiter rules over 1st house (Sagittarius) of Life Path, Self and Life Purpose and 4th house (Pisces) of Home and Mother. So, for Sagittarius people, Jupiter takes shape of a home and responsibility related planet. Now, Jupiter will transit through 9th house (Leo) of Religion, Higher Education etc. So these people will find their peace of mind in reading and educating themselves about religion and higher spiritual wisdom. Their whole focus will move towards the higher learnings and for that purpose they may take long distance travels. Pilgrimages are certainly on. 10. Capricorn Ascendant or Capricorn Moon Sign – For Capricorn people, Jupiter rules over 12th house (Sagittarius) of Occult, Mysticism and 3rd house (Pisces) of Gains and Income. So, for Capricorn people, Jupiter takes shape of an action and spirituality related planet. Now, Jupiter will transit through 8th house (Leo) of Occult, Mysticism etc. Biggest transit to happen. Life-path will be changed in next one year. These people will suddenly find interest in occult and mysticism and do loads of research work. They will go to the deepest core of their research to find out the truth of occult and mysticism which in future will turn out to be their livelihood. 11. Aquarius Ascendant or Aquarius Moon Sign - For Aquarius people, Jupiter rules over 11th house (Sagittarius) of Gains, Income & Desires and 2nd house (Pisces) of Family, Wealth and Speech. So, for Aquarius people, Jupiter takes shape of a desires oriented planet. Jupiter will transit through 7th house (Leo) of Marriage, Business and Career (being Bhavat-Bhavam of 10th house) etc. Really good transit for Aquarius people, a rise in their career is almost guaranteed. Those unmarried and going through proper Mahadasha/Antardasha of Marriage are certain to get married. They will be recognised for their efforts in masses. Expansion in family is bound to happen either by marriage or child birth. Time for manifestation of desires. 12. Pisces Ascendant or Pisces Moon Sign - For Pisces people, Jupiter rules over 10th house (Sagittarius) of Career, Fame and Reputation and 1st house (Pisces) of Self, Life Path and Life Purpose. So, for Pisces people, Jupiter takes shape of a path and purpose oriented planet. Jupiter will transit through 6th house (Leo) of Disputes, Diseases, Obstacles etc. So, if Pisces people are going through some disease or disputes or litigation from a long time, then this is the right time to put a stop over it. Disputes and litigations will end up in positive results. Any long time disease will be healed in this time. Now, many must be thinking that everyone is getting good results only. So is it so that this world will turn into heaven for next one year? Well, that’s where 2 Karmic planets Saturn and Rahu are impacting Jupiter. So, all these results will be felt by those people who are ready to work their heart-out as Saturn doesn’t give anything by way of smaller means or efforts. Saturn wants to see the hard-work, perseverance and discipline in our work. And when it sees that it blesses us more than we ever expect. So from fore-front, it can be seen that Jupiter is giving us all these awesome results but in background Saturn is working and making all of us work for success. Hope this transit will be fruitful for all of us.